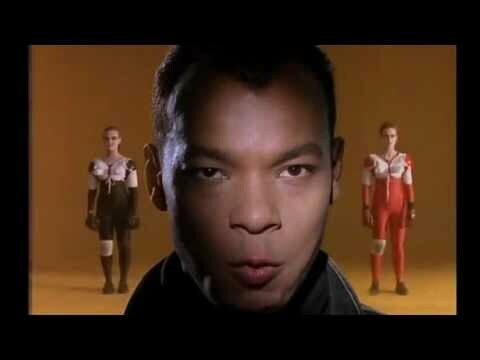 "She Drives Me Crazy" is a song recorded by the Fine Young Cannibals, included on their 1989 album The Raw and the Cooked. The song peaked at #5 as a single in the band's native UK in January 1989 (it was released on New Year's Day) before hitting #1 on the Billboard Hot 100 in the US on 15 April 1989. It also reached #3 on the Dutch Top 40. A remixed version of this song was released in 1997. The unique snare drum "pop" sound was created by recording the snare drum portion separately. A speaker was then placed on top of the snare drum, and a microphone below. The original recording of the snare drum part was played back through the speaker and re-recorded. "Weird Al" Yankovic parodied this song as "She Drives Like Crazy" for his 1989 soundtrack album UHF - Original Motion Picture Soundtrack and Other Stuff. Kermit the Frog and Miss Piggy recorded a version as the opening track to the 1994 Muppet album Kermit Unpigged. A music video, featuring cameo appearances by various celebrities, was released to promote the album. Dolly Parton recorded a cover of the song for her 2008 album, Backwoods Barbie, titled "Drives Me Crazy". It was released as a single to Adult Contemporary stations in January 2009. The Fine Young Camels sing "C Drives Me Crazy", a "Sesame Street" parody of "She Drives Me Crazy". A camel in the Mojave desert (voiced by Paul Jacobs) sings about how he loves the letter C and things that start with C. He is backed by two male Anything Muppets dressed as Arabs. A cat and a cookie also sing and dance along. The number features an introduction by Jerry Nelson, stating it's their "greatest, and only, hit ever."